Americomm has been providing superior telecommunications sales and service since 1992. 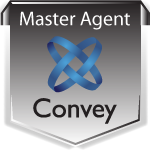 As a national master agent, Americomm provides agents with unbiased consulting in regards to the ever changing needs of their clients. Americomm has the backing of over 40 years of experience, to provide agents with best options available for their clients telecommunications needs. We pride ourselves in meeting and exceeding the expectations of our agents. Americomm's growth over the last 20 years, has allowed us to evolve into one of the countries leading master agency's. Agents throughout the country choose to work with Americomm for a variety of reasons. The most important being our industry leading commission plans, as well as an extensive portfolio of telecom providers. Americomm allows smaller agencies to benefit from our years of experience and valuable resources.